Welcome! 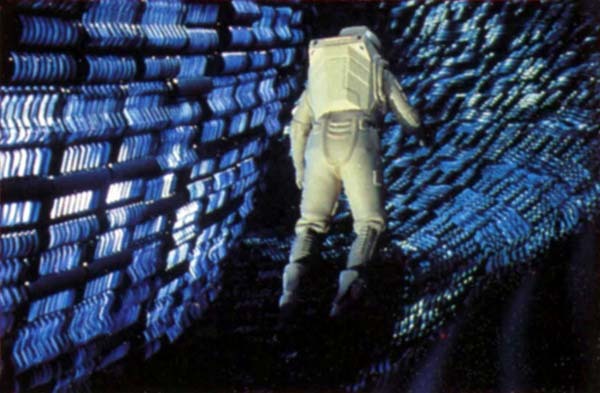 The "Memory Wall" scene is the famous lost scene from Star Trek - The Motion Picture. If you wish to have more information about the scene itself or its production, I strongly recommend to read the following two articles on Forgotten Trek website (which is also highly recommended). The scene itself was abandoned before being completed, but most of the footage was actually shot and never post-produced. In this page I have collected all the pictures related to the Memory Wall scene which have emerged during the years, trying also to track the sources. Whenever possible the pictures are also available in high resolution. Part 2: "The Big Picture - STAR TREK on Film"
Chapter 1: "The Dream Fulfilled - Star Trek: The Motion Picture"
#145 - File 59 Card 15 - "Spacesuits: 2271"
"The Making of the Visual Effects of Star Trek - The Motion Picture"
"Part 2: Buliding & Lighting the Props & Miniatures"
This is the only picture for which I wasn't able to locate a source, nor I was able to find a decent quality version. The image is present (among other sites) on Trekweb.com here. Similar, but not the same, to the first two pictures of this gallery. Any help will be appreciated, contact info at the bottom of the page. 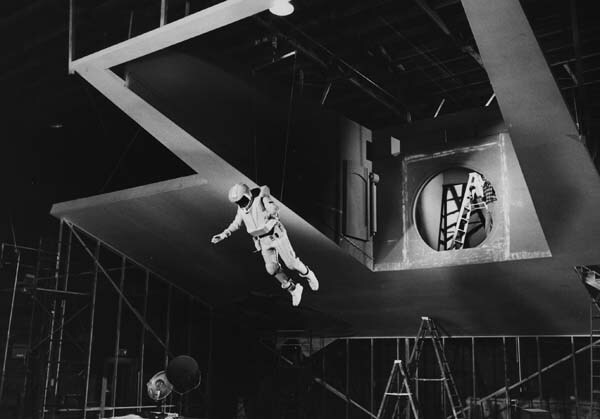 "Star Trek the Emotion (and Action) Picture"
To my knowledge this is the only existing picture of Spock leaving the Enterprise, along with this backstage (see below section). This scene was included in the "Special Longer Version" of Star Trek - The Motion Picture and as 'deleted scene' in the extra contents of the 2 DVDs "Director's Edition", see below section. "Star Trek - The Motion Picture: Props"
It would seem that stuntmen were used for this shot instead of Leonard Nimoy and William Shatner. Probably the same stuntmen are also in this picture. 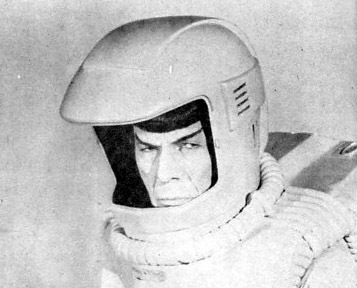 Note the blue reflection on the right side of Spock's helmet. Assuming that this picture is part of the footage that was going to be used, this could have compromised the final result. Note again the blue reflection on the right side of Spock's helmet (see above picture). "The Remaking of Star Trek 1970-1978"
"Leonard Nimoy - I am Spock"
Clint Eastwood with his children visiting the set during the filming of the Memory Wall scene. Original panel used for the trench set auctioned by Profiles in History. Among the extra contents of the 2 DVDs "Director's Edition" of Star Trek - The Motion Picture screen tests for the Memory Wall scene were included. There are 5 tests in total, one with a man floating, two with 'manned' spacesuits (white and orange) and two with empty spacesuits (orange and white). The followings are screengrabs from the screen tests. 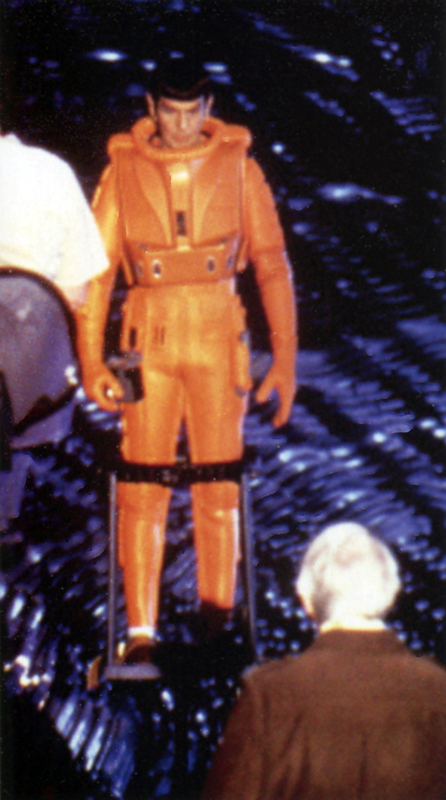 The scene with Kirk leaving the Enterprise was included in the "Special Longer Version" of Star Trek - The Motion Picture despite the fact that Kirk's spacesuit is completely different form the one he's wearing in the following scene and that in the long shot the Enterprise hull is not completed with the matte painting. The scene was subsequently included as 'deleted scene' in the extra contents of the 2 DVDs "Director's Edition" of the movie. The followings are screengrabs from the deleted scene. Skin study for V'Ger Memory Wall set by Paul Kraus auctioned by Profiles in History. The Marvel 1979 comic adaptation of Star Trek - The Motion Picture contains the Memory Wall scene (pag. 40-44). 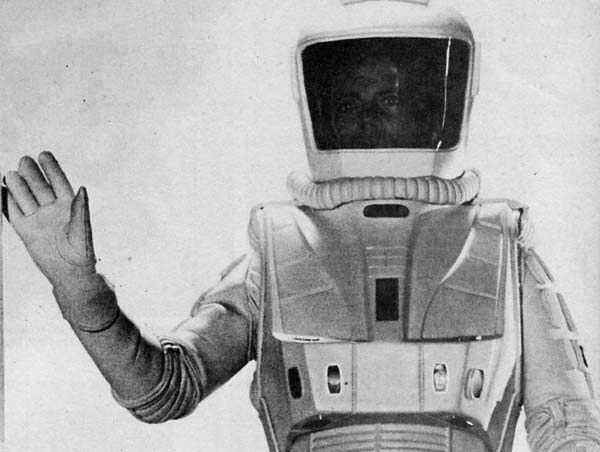 Surprisingly the Star Trek Fact Files included the Memory Wall spacesuit among the files of Section 5 "Equipment and Technology", specifically in File 59 "Systems". 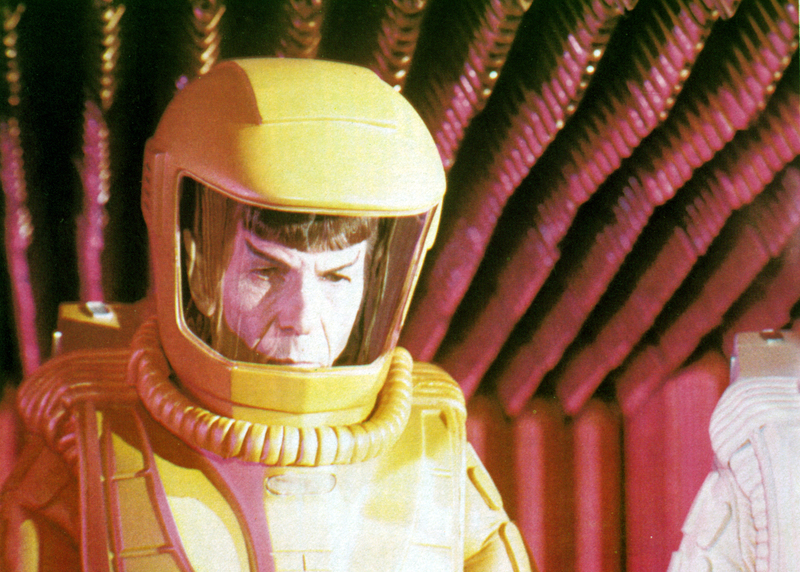 The Star Trek Fact Files cover only canon materials and since the Memory Wall spacesuits are only seen in the "Special Longer Version" (with an evident continuity mistake) or in a deleted scene, their being canon is dubious. 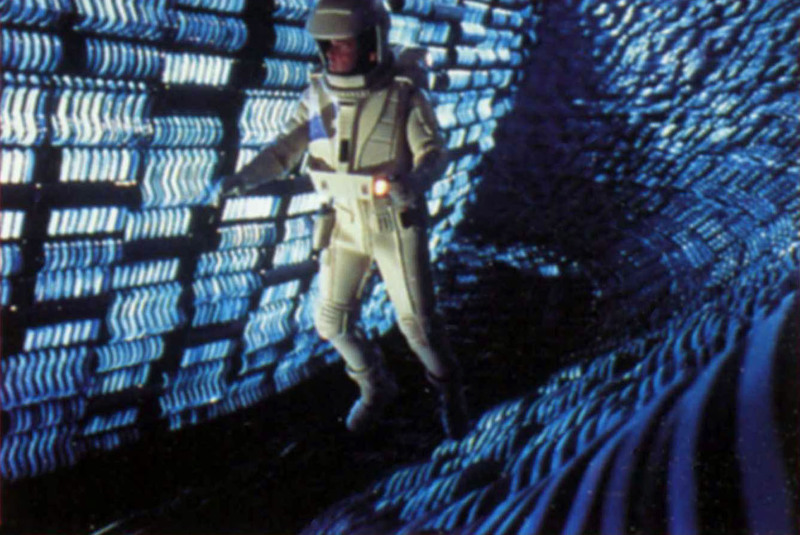 In fact the text in the file clearly refers to the final version of the spacewalk scene (with Spock going alone inside V'Ger), while the pictures in the file obviously are all from the Memory Wall scene (which is a good thing anyway). 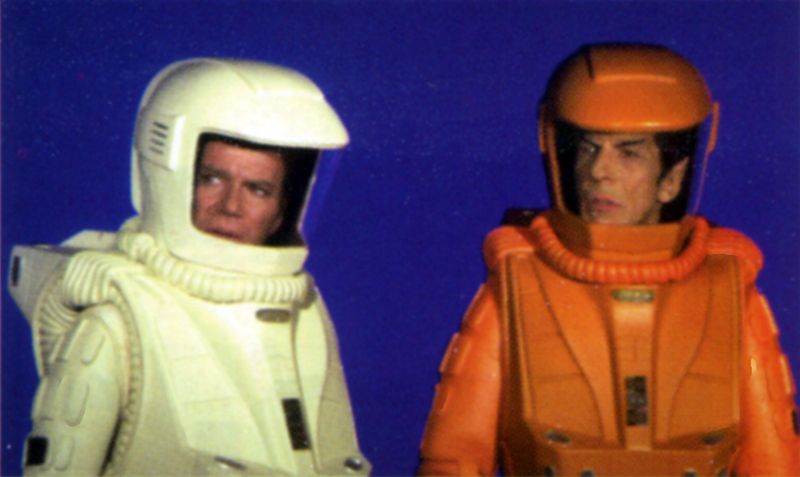 The upgraded (canon) sapcesuits are covered in Card 14 "Enviromental Suits: 2271", with pictures mostly coming from Star Trek II - The Wrath of Khan (where the spacesuits have been re-used). In 2009 on The Trek BBS it was announced that two and half minutes of black and white footage from the Memory Wall scene were retrieved. 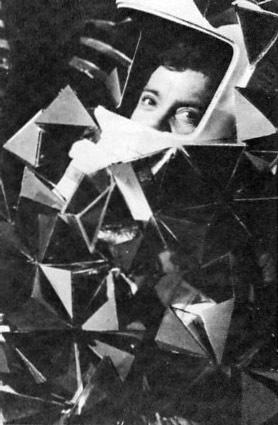 The footage was described to be composed by five different takes of three scenes, all regarding Kirk being attacked by the pyramids. Unfortunately none of the footage was released. 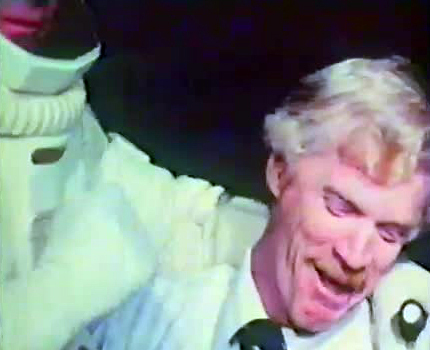 This animated gif used as avatar is the only glimpse available of the retrieved footage. All images are © their respective owners. Star Trek and related marks are trademarks of CBS Studios Inc. No copyright infringement is intended. Buy original Star Trek products.